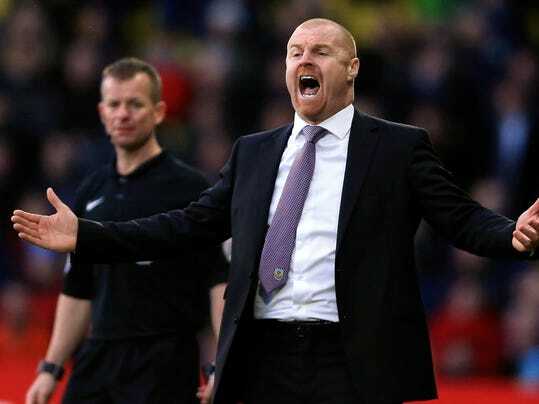 WATFORD, England (AP) — Burnley lost away from home once again as Watford beat the 10-man Clarets 2-1 on Saturday in the Premier League. Headers from Troy Deeney in the 10th minute and January signing M’Baye Niang in first-half stoppage time were enough for the Hornets to seal a 2-1 win at Vicarage Road and build on their stunning win at Arsenal in midweek. Burnley played most of the game a man short after midfielder Jeff Hendrick was sent off after just six minutes for a reckless two-footed challenge on Jose Holebas. Ashley Barnes’ penalty gave Burnley hope but it has now won just one point from a possible 33 on the road. Watford is 10th and unbeaten in its last four league games. Burnley is a point behind in 12th. On Pro Football: Carson Wentz Is Fueling Eagles’ Hype. Not That He’s Noticed.